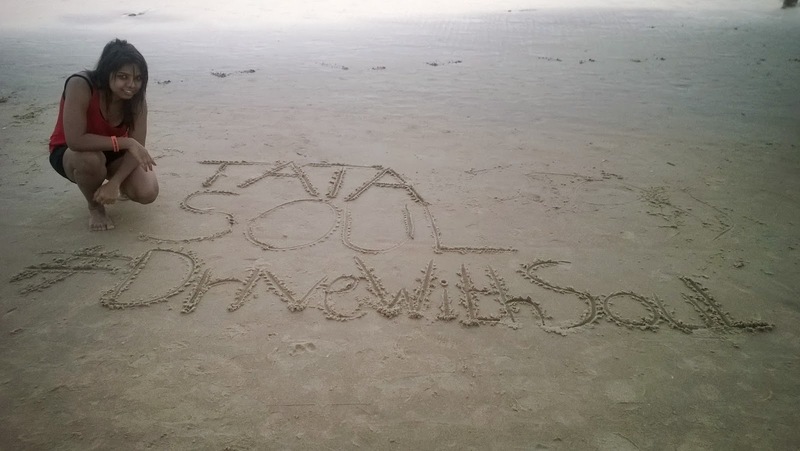 Tata Motors came up with a new initiative called S.O.U.L. which stands for Safari Owners United League. Automobile company. They normally conduct various city drives for breakfast or lunch or movie with a drive to a nearby destination, so S.O.U.L. south regional drive was an extension to this with various members of S.O.U.L. from different cities driving to the location but this time it was with their families. S.O.U.L. 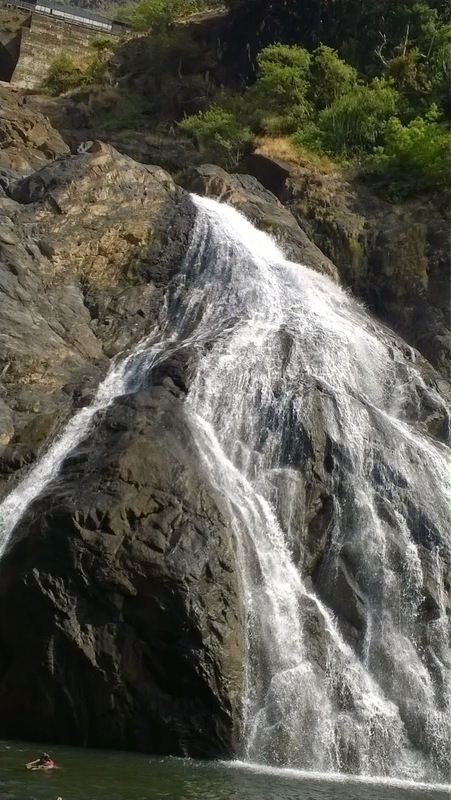 South regional drive was a drive to Dudhsagar falls, a similar North regional drive was a drive to Corbett. Automobile companies have started to take care of their customers and their needs post sales. Tata Motors have realized the importance of keeping their customers happy and entertained apart from addressing their concerns. S.O.U.L. 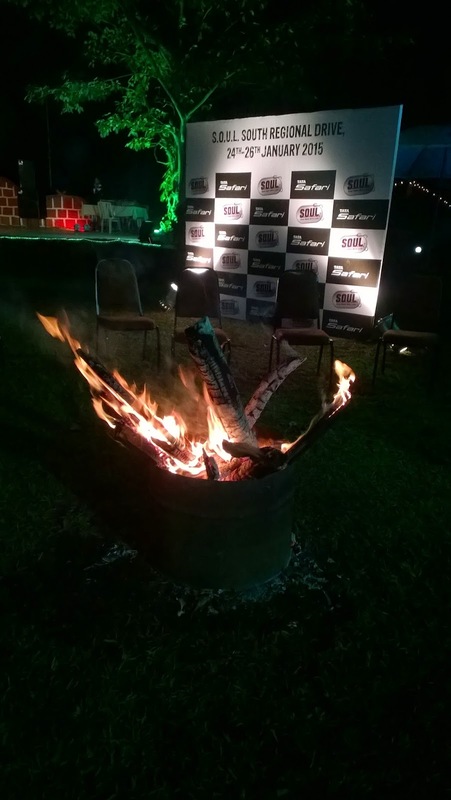 bring the Safari owners and their families together to discuss about the car, customization, long drives, concerns, etc building a bond with each other and also with the brand. I was very happy to be part of S.O.U.L. 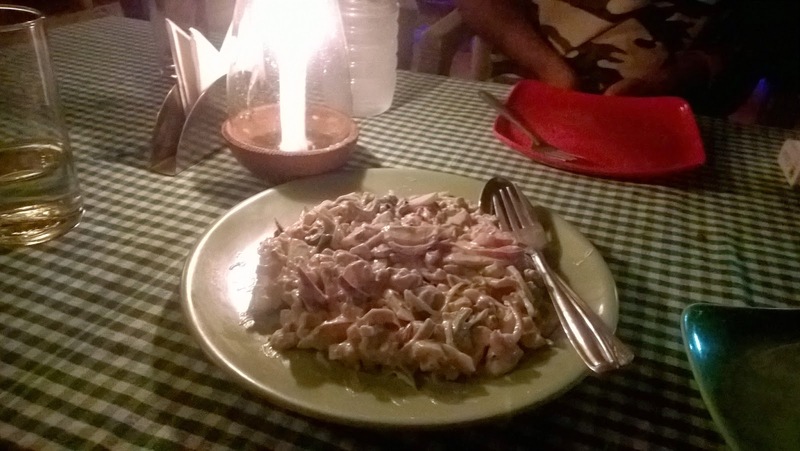 South Regional drive to Dudhsagar falls in Goa. 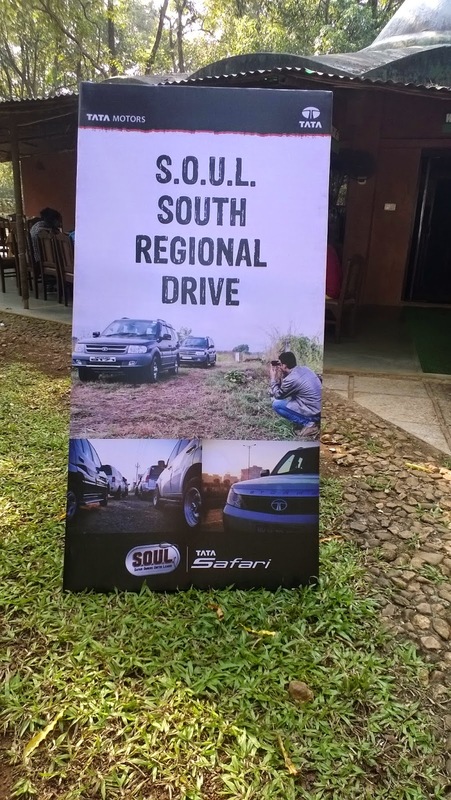 The South regional #DriveWithSOUL event had the members of S.O.U.L. 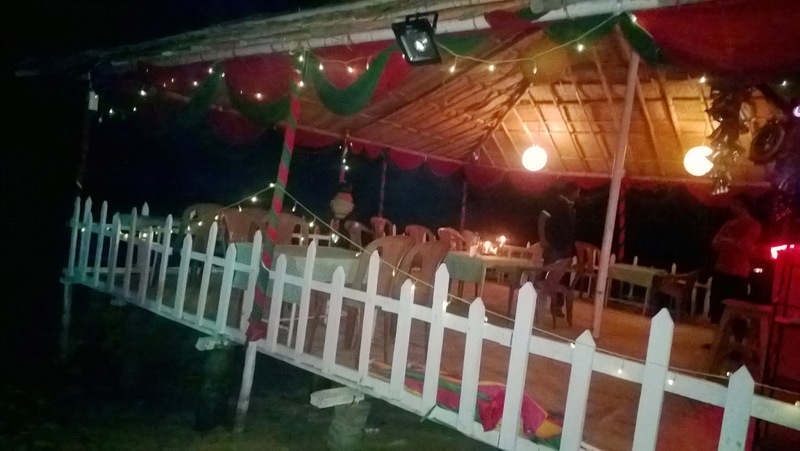 drive to Goa on Day 1 with leisure activities at the resort followed by a visit to Dudhsagar falls and Sernabatim beach on Day 2 and return to the respective cities on Day 3. 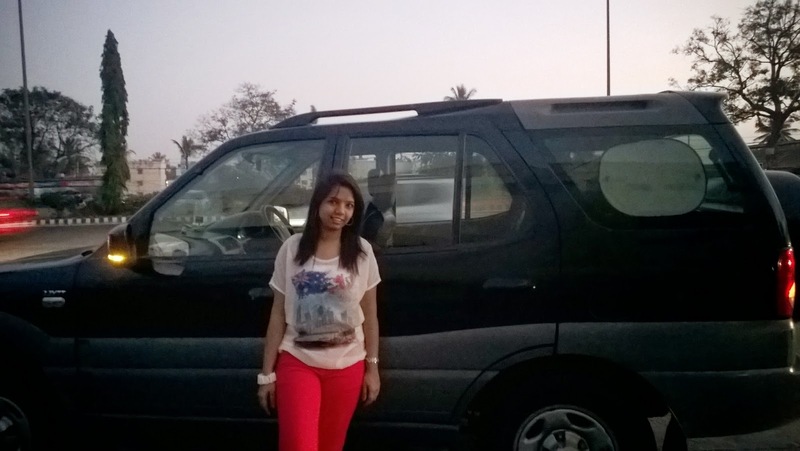 I have usually fly down to Goa so it was my first drive, esp SUV. I was pretty excited. 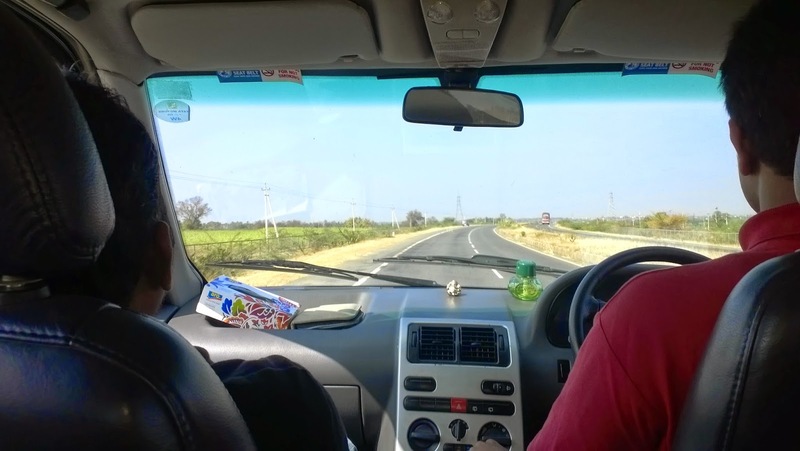 Day 1 started early in the morning with a Tata Safari Dicor picking me up and I was joined by other invited bloggers – Arjun from Bangalore and Srinidhi from Chennai who came all the way to be part of this journey. Little later, we were joined by Raghu and his wife in his Safari Dicor. He has been driving his Safari Dicor from 6 years and has been an active member of Bangalore S.U.G. (Safari Users Group) indulging in various drives with the other members of the group. A smooth drive was felt ignoring the toll. Srinidhi who drove most of the journey informed that more than Re.1 per km was paid at the toll booth. Ghat section started after Dharwad and Shrinidhi enjoyed the ghat section more than straight roads. 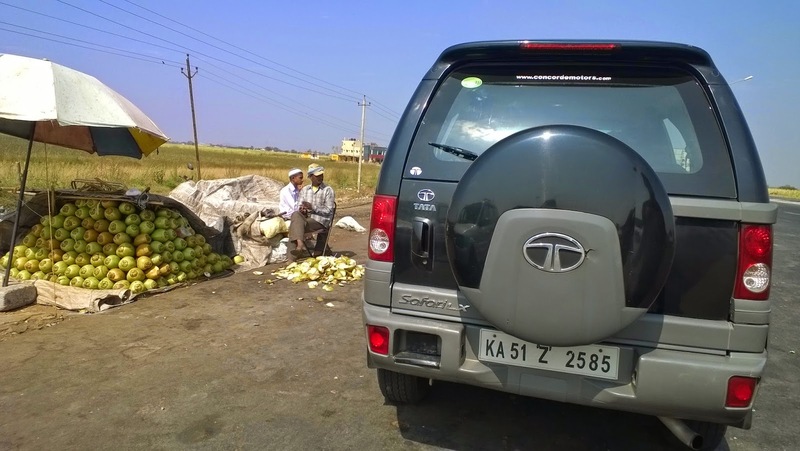 We barely stopped on our journey, just twice – once for breakfast at Kamat and second for some cool coconut water. This helped us reach our destination which was Dudhsagar Spa Resort around 2.30PM. We took around 8 hours to reach the resort, just in time for our lunch. 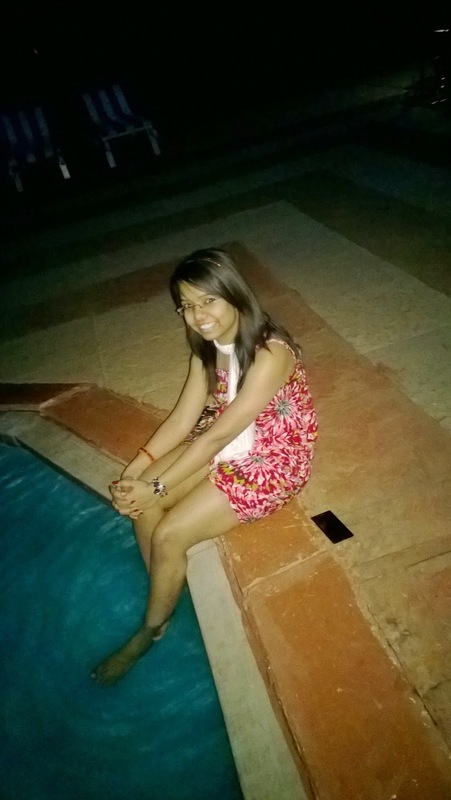 A separate post on my stay and review of Dudhsagar Spa Resort is posted. Day 1 was a relaxed day with everyone checking in at different time. 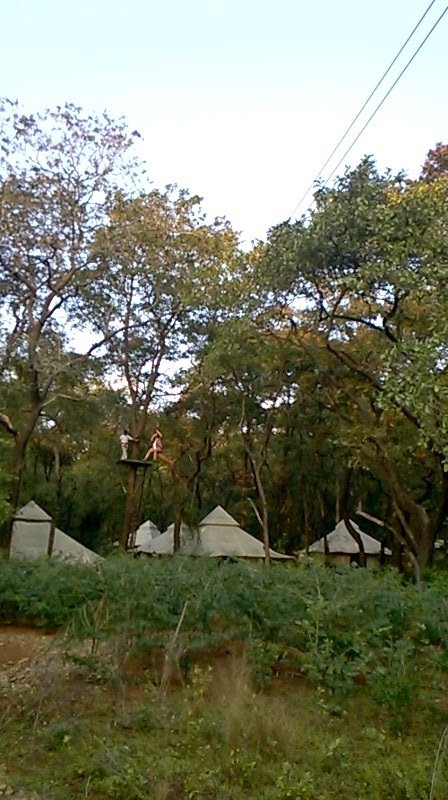 Everyone indulged in different activities at the resort like Yoga, a visit to the temple and/or zip lining. I enjoyed the zip lining activity along with some time at the pool, while the others had a visit to the temple and Yoga session. 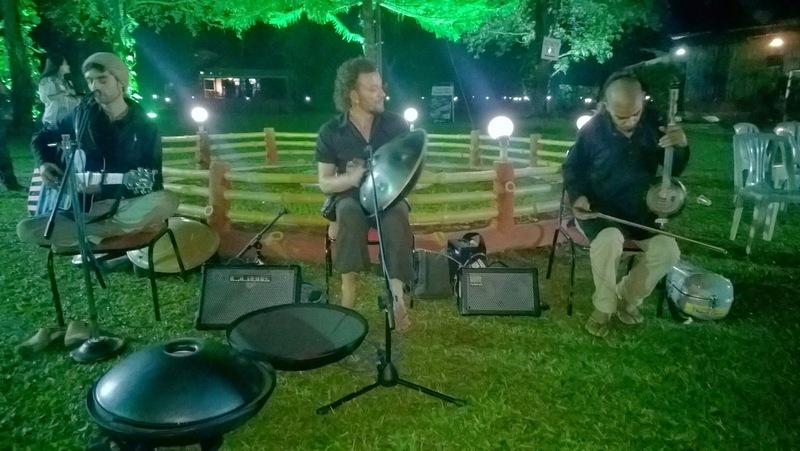 Evening was musical with Arambolla band performing for everyone along with barbecue set up. Later a DJ took over and the entire evening I noticed the members discussions their cars and the modifications and also the concerns they had with their vehicle. Day 2 was a jam packed day so it started early. After breakfast, around 33 Safari’s left for Dudhsagar falls. 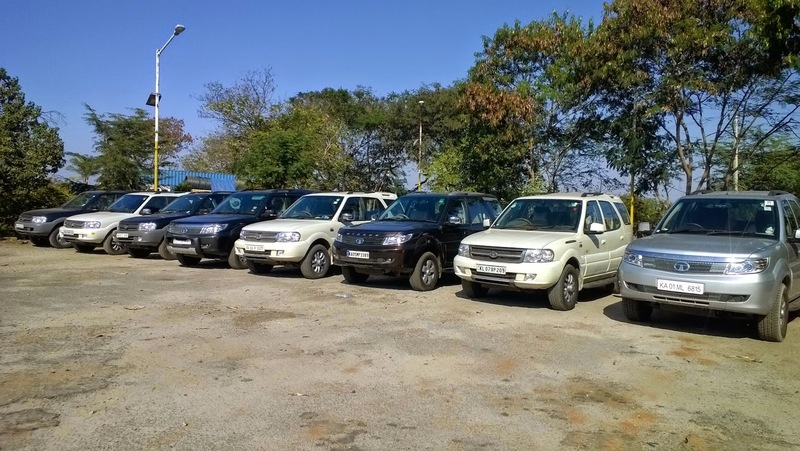 It was eye catching to see a convoy of Safari on the roads of Goa. Some Safari had awesome modifications to it. Many accessories were on sale and I noticed this when a printout of the same was kept in the room where one owner could tick the accessories he/she required and Tata Motors would make sure it was fitted on to their SUV’s at their respective location. We drove till the Dudhsagar falls taxi stand from where we had to hire taxi to reach the falls which was around 12 kms from the taxi stand. 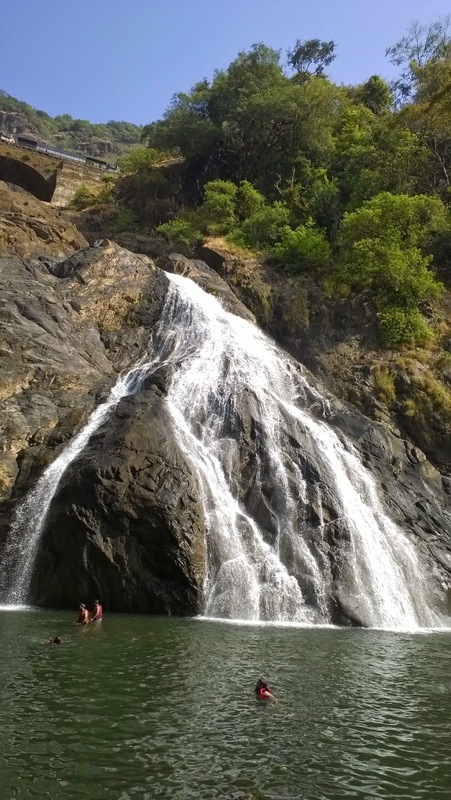 We spent around an hour at the bottom view of the falls, taking a dip in the fresh water and clicking pics while I also got to interact with the other S.O.U.L. members. 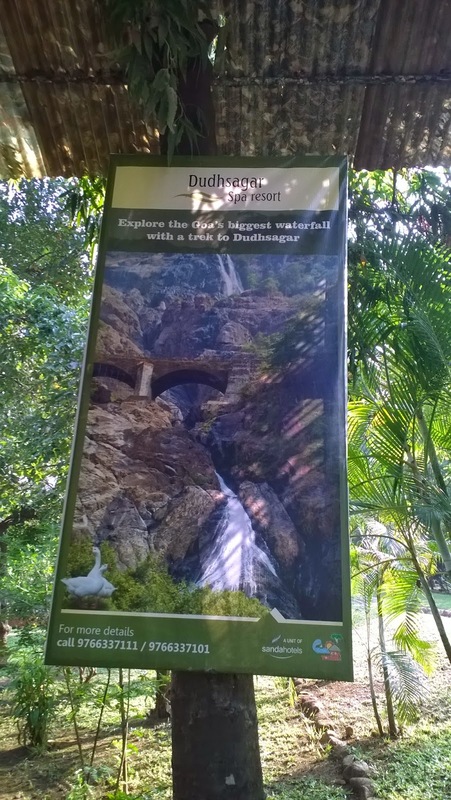 A separate post on my visit to Dudhsagar falls is posted. 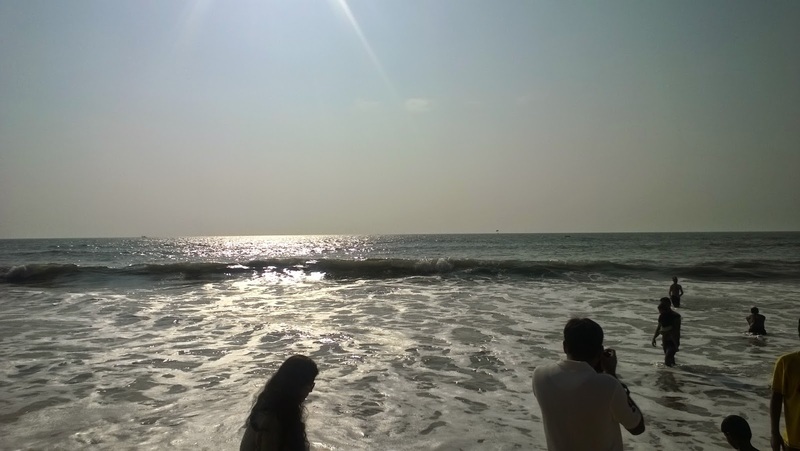 Post lunch, we headed to the Sernabatim beach in South Goa in a convoy which shook the roads of Goa and made every head in Goa turn. 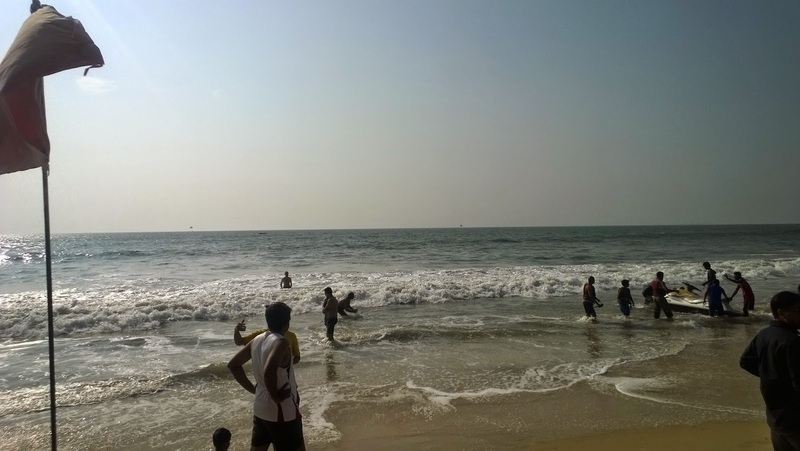 Evening was relaxed time at the beach with members indulging in various water sports. I took a jet ski ride while some took para sailing. 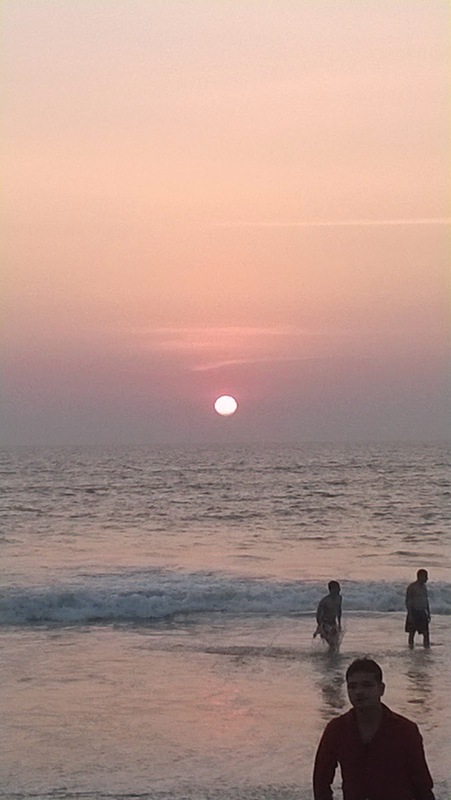 I spent most of my evening at the beach interacting with many S.O.U.L. members. 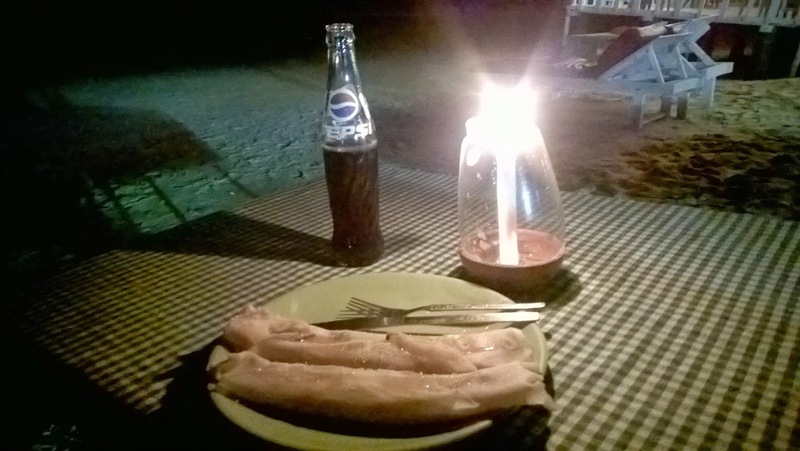 It was a well spent day and I could recollect my entire journey while I laze around a shack by the beach side munching on some pancakes, prawn salad, goan prawn curry, fried rice and looking at the sky filled with stars and the moon’s reflection on the sea. 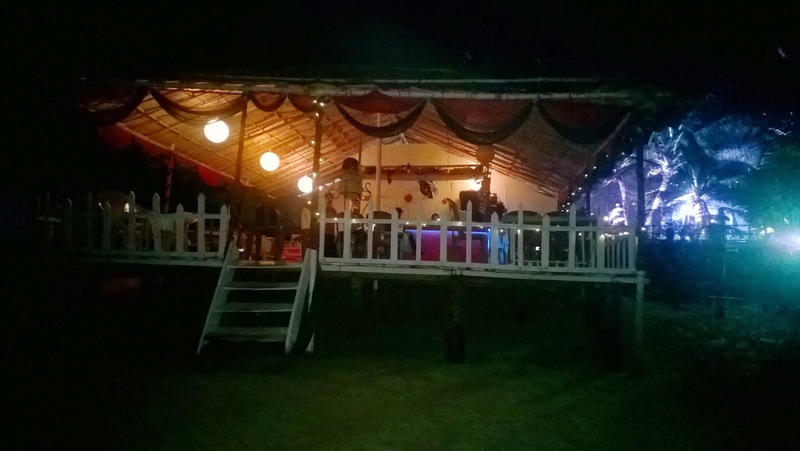 At night, at the resort Sonal and Daniel from 70 Event Management Group were thanked by S.O.U.L. 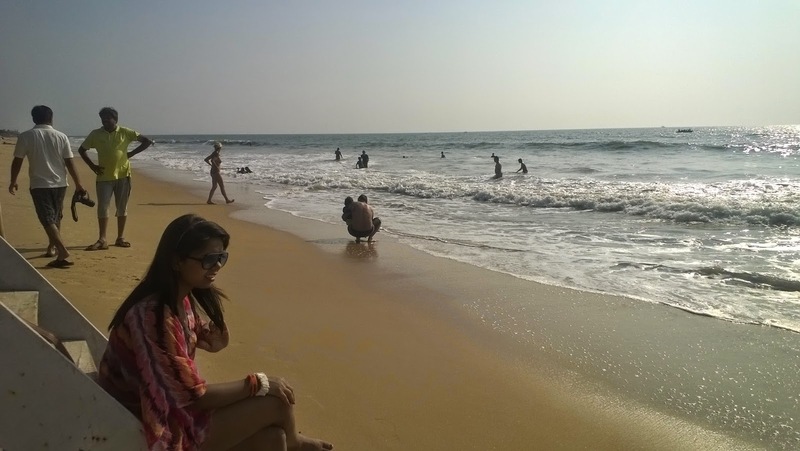 members for organizing and executing the entire trip with ease. During the entire stay I did not come across any meetings or presentations by Tata Motors, rather it was like a vacation for all their members and their families, a big happy family. Day 3, With a heavy heart it was time to head home. I had 2 options, either to get back home in the same Safari Dicor at my convenient time i.e. post breakfast or to travel back in a convoy of beast to Bangalore at 6AM. I chose the latter as I could interact with other S.O.U.L. 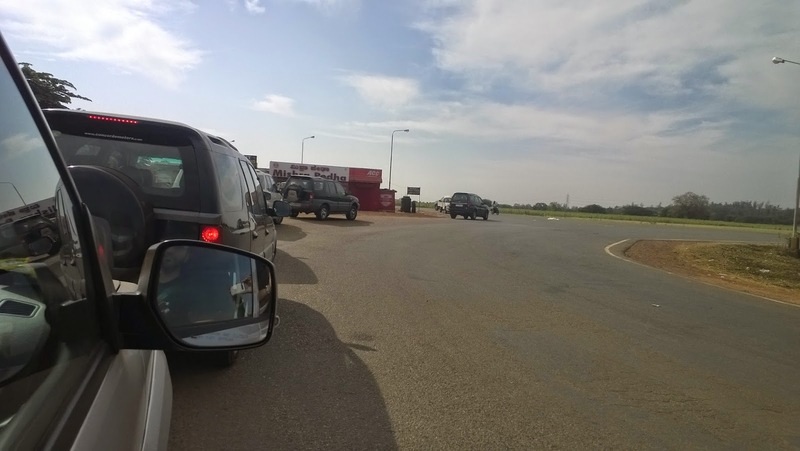 members and also get a feel of a drive in a convoy. 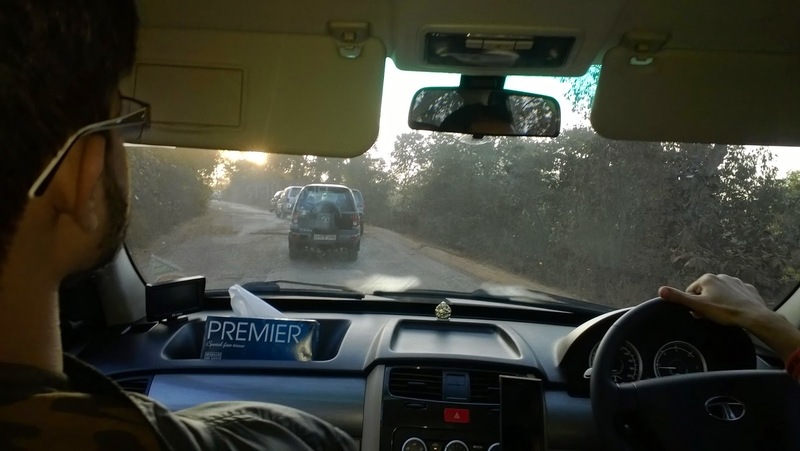 We drove back to Bangalore in Perez’s Safari Storme. His Safari storme is the newest addition in the Safari group. 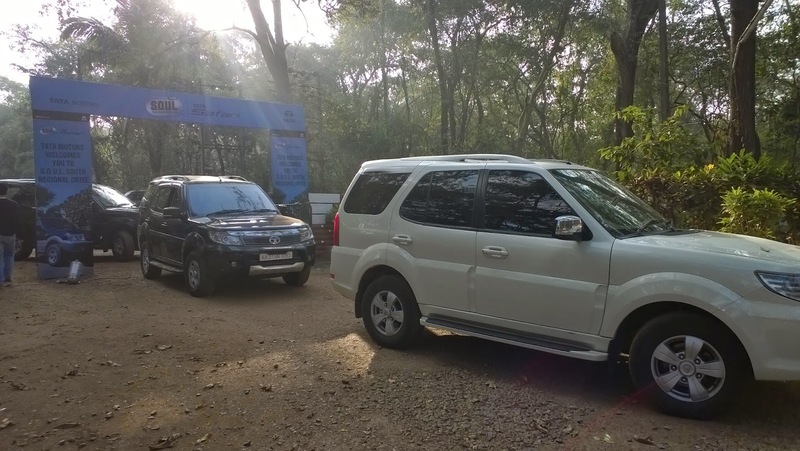 The convoy was led by Srihari and checked by Mahesh/Perez at the last. 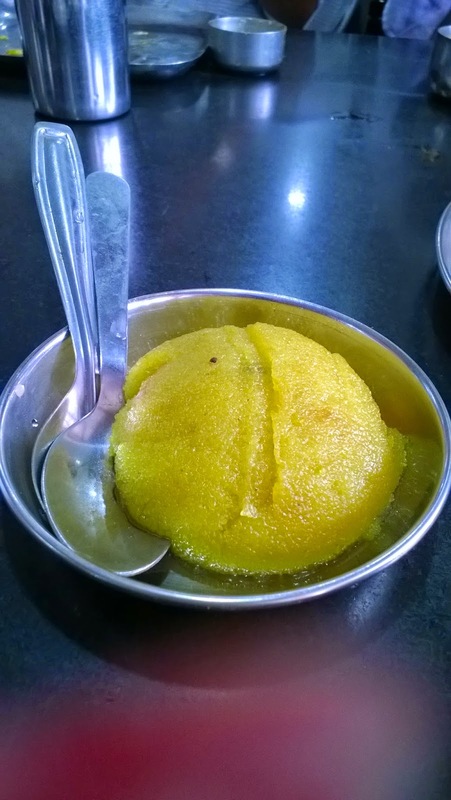 Having breakfast at Hotel Brindavan in Dharwad, lunch at Kamat, Sira making me reach Bangalore at 6PM. 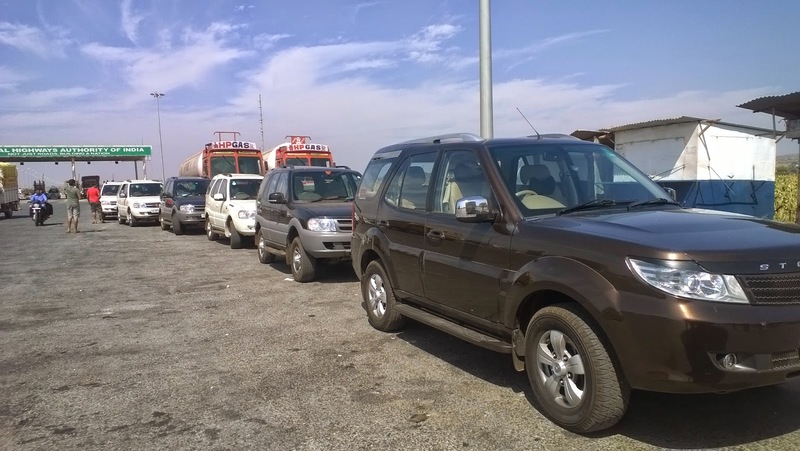 It took me 12 hours to reach Bangalore but the entire feel of a convoy drive was different. Thanks to Perez for allowing us to be part of his journey back to Bangalore. Such drives help the brand in promotions too as a large convoy of cars would make every head turn at every road we traveled. 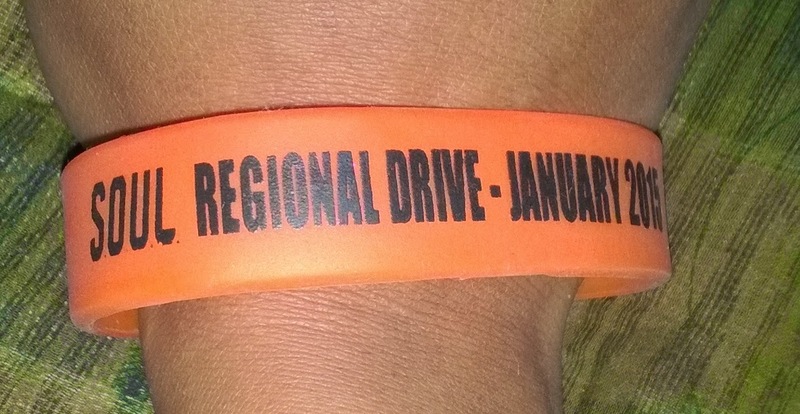 The regional drive focused not just on the owner but also on their families. 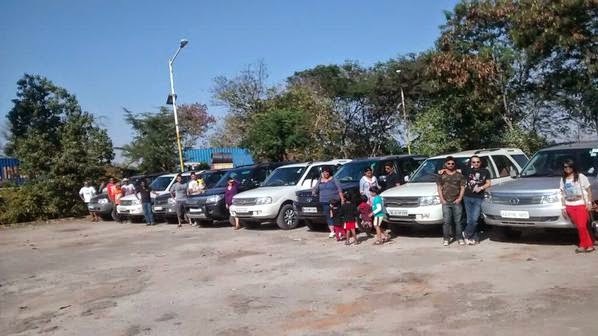 This was a great initiative by Tata Motors to keep the car owners engaged. Hats off for #DriveWithSOUL. A long weekend was well spent with a new travel experience. 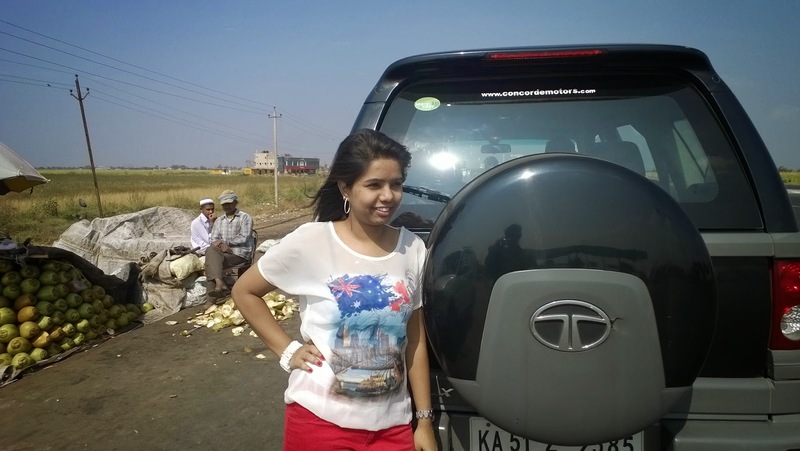 I would like to thanks Tata Motors and BlogAdda for making me part of this unique experience. Pictures may not be as great as my experience 🙂 Looking forward to further such drive’s as I was informed that more drive’s will take place in future.